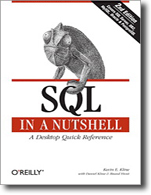 SQL in a Nutshell applies the eminently useful «Nutshell» format to Structured Query Language (SQL), the elegant—but complex—descriptive language that is used to create and manipulate large stores of data. For SQL programmers, analysts, and database administrators, the new second edition of SQL in a Nutshell is the essential date language reference for the world’s top SQL database products. SQL in a Nutshell is a lean, focused, and thoroughly comprehensive reference for those who live in a deadline-driven world. This invaluable desktop quick reference drills down and documents every SQL command and how to use it in both commercial (Oracle, DB2, and Microsoft SQL Server) and open source implementations (PostgreSQL, and MySQL). It describes every command and reference and includes the command syntax (by vendor, if the syntax differs across implementations), a clear description, and practical examples that illustrate important concepts and uses. 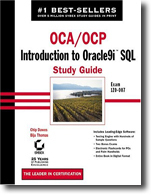 And it also explains how the leading commercial and open sources database product implement SQL. This wealth of information is packed into a succinct, comprehensive, and extraordinarily easy-to-use format that covers the SQL syntax of no less than 4 different databases. When you need fast, accurate, detailed, and up-to-date SQL information, SQL in a Nutshell, Second Edition will be the quick reference you’ll reach for every time. SQL in a Nutshell is small enough to keep by your keyboard, and concise (as well as clearly organized) enough that you can look up the syntax you need quickly without having to wade through a lot of useless fluff. 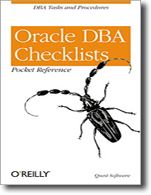 You won’t want to work on a project involving SQL without it.